I was seventeen. 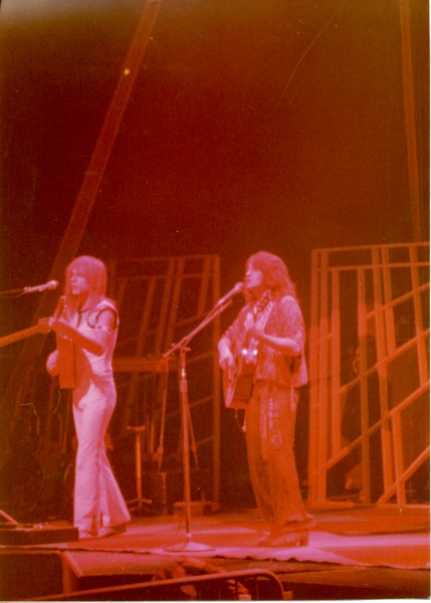 Yes was the first rock band that I was in love with 1974. In summer 1977 I spend my holidays with some friend in the south of France, while Yes released 'Going For The One'. I remember the concert well it was a great experience for me. 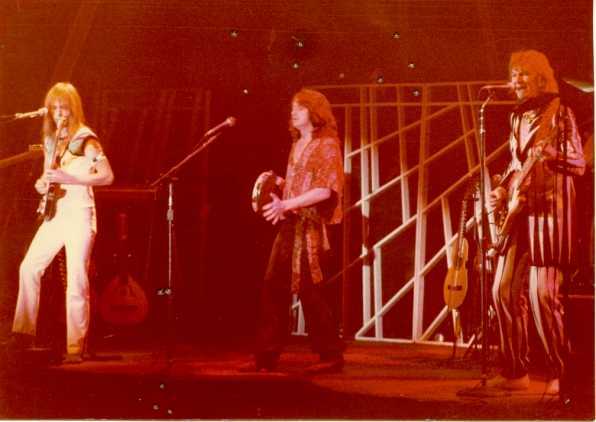 Jon Anderson was our god, Wakeman also. The concert was exactly how we expected it to be. Thank you guys for that. In the following years I changed my musical preferences to more jazz and funk orientated bands, in the nineties it was Toto. Then some years ago I heared Metallica�s S+M Album, which brought my musical interests back to more progressive music like dream theater. Now I see that Yes was and is the root of this all. Thanks again: You guys definetely influenced my life. The support was Donovan, showcasing his 'Cosmic Wheels' album release, and I remember him playing 'Intergalactic Laxative' ! Yes were as tight and professionally superlative as they are known to be, and they played well . 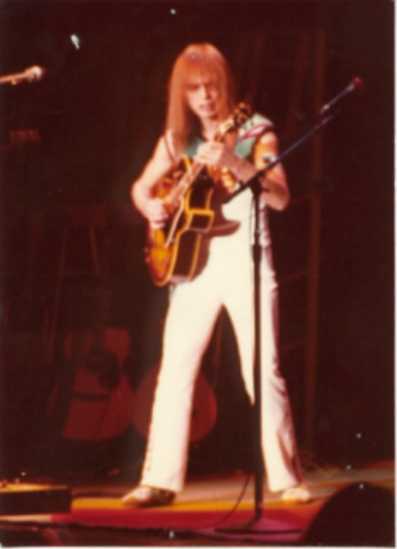 It probably wasn't one of their best shows, but Steve Howe stood out on guitar , and the atmosphere was commanded to an art-form. They engross to evoke an (almost 'fictional') imagination through music, reminiscent of Tolkein . 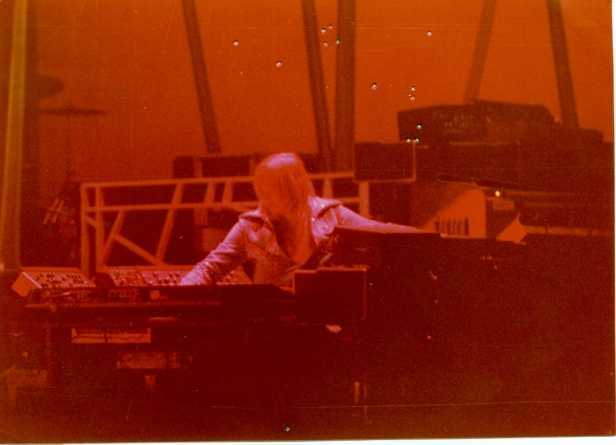 This was my second Yes show, the material had changed considerably but not the grand-ness of the soundscape and theatre ! I'm glad I made that evening in Koln, Germany - courtesy of a couple of long rides picked up on Rhein-Strasse to get there . I visited this show by accident as a friend of mine could not make it and I got his ticket. I didn't know too much about the group at this point of time. The show was so impressive to me that I instantly became a great fan and stayed it until now.